To break out of the winter doldrums, I present South Horizons. I lived here for a summer 20 years ago. And this was the view from my teeny tiny bedroom. Despite the size of that room (small walk-in closets are larger), South Horizons was by far the fanciest place I’ve ever lived. 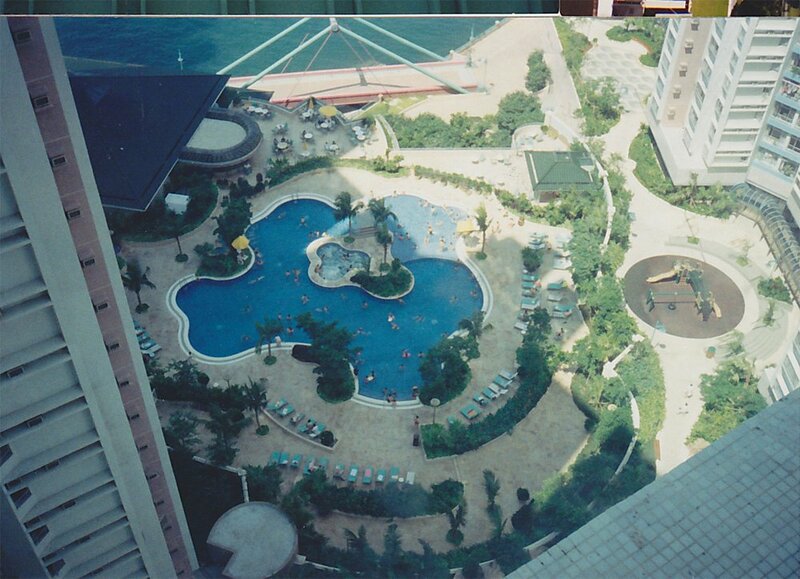 I spent a lot of time in this pool as I tried to figure out how I could stay in Hong Kong forever. A couple months into my month-to-month lease, I learned that I’d been accepted into a master’s program at the Chinese University of Hong Kong. So after three months at South Horizons, I packed up my things and moved north. And that was basically the point when my memoir, GOOD CHINESE WIFE, starts.